Cape Town - Waratahs coach Michael Cheika and South African referee Jaco Peyper have been reprimanded by SANZAR after the pair had a discussion at half-time during the Waratahs’ Super Rugby clash with the Blues in Sydney on March 28. 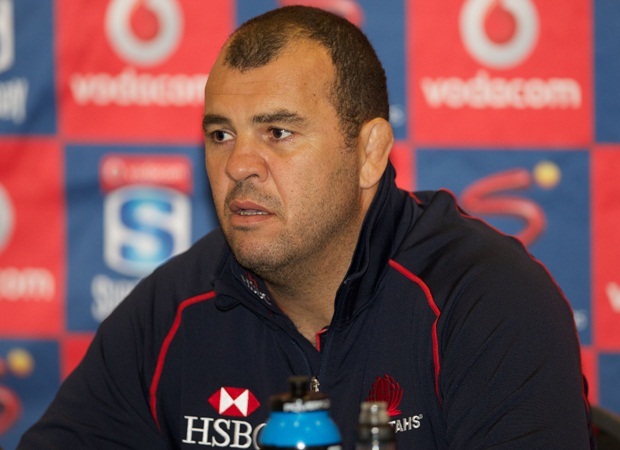 The southern hemisphere governing body on Thursday confirmed that it received a formal complaint in regard to the alleged conduct of Cheika. After undertaking a thorough investigation, including receiving statements from all parties involved, it was determined that Cheika had approached Peyper, who was the match referee on the day, in front of the other match officials to seek clarification on a scrum interpretation during the half-time break of the match. In a short and polite exchange that took place in the referee's change room, Peyper responded to Cheika's request for clarification. No other issues were discussed. Both Cheika and Peyper have subsequently acknowledged this exchange should not have taken place and apologised. There is no evidence that the referee was influenced by the exchange in his handling of the match, nor in the circumstances has there been a breach of the SANZAR Code of Conduct and no further action will be taken. SANZAR has issued formal warnings to both Cheika and Peyper and has written to all referees and coaches, reminding them that no discussions should take place between the match officials and coaches during a match. The Waratahs won the match 23-11.